Controversial media personality, Ifedayo Olarinde, popularly called Freeze, has lashed out at Nigerian pastors over their silence on the ongoing alleged slave trade in Libya. 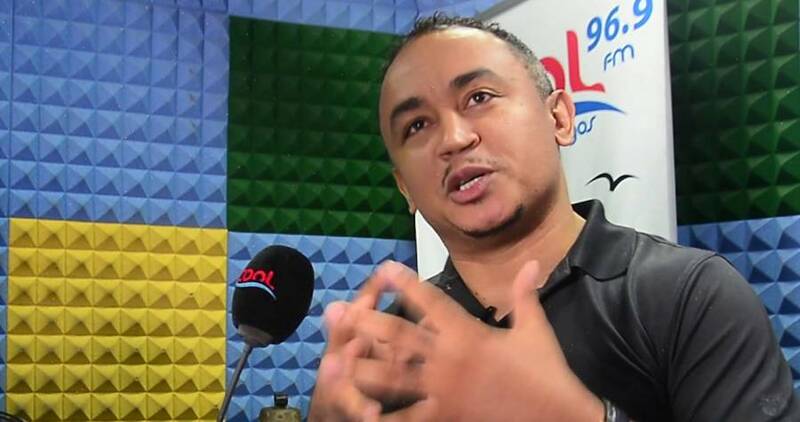 Freeze condemned pastors for maintaining sealed lips on matter while celebrities raised their voices against the inhumane act. According to him, the private jets owned by pastors can be used to repatriate Nigerians, but they only call for tithe and offerings and not doing the needful. He wrote on his Instagram page, “A minor attack on tithing and almost every pastor comes out to defend it. “A major attack on humanity and up until now I’m waiting for the first pastor to stand in condemnation, or put their resources together and make that difference. “One GO, they say owns 4 private jets, imagine how many of our brothers that could help bring home. If they could use church jets to buy ammunition, why can’t they use them to bring home our brothers? “Or are they implying that the lives of our brothers are worth much less than the guns that will kill them? “Celebrities are coming out to speak and stand up for our brothers, WHERE ARE OUR PASTORS??? Are they too busy advertising their next concert, or are they so preoccupied with filling their event centers this Sunday, that they can’t take a few minutes off practicing the speeches that will ginger 10 people to bring out =N=1Billion each, to remember the plight of the very brothers Jesus admonished us to keep? “Could the demeanor of these pastors be attributed to the fact that the refugees don’t have tithe cards? “I thank the federal government for rising to the occasion and bringing home our brothers, some returned tonight, as reported by captain @usoroessien. “It’s a damn shame to us all, if the government proves more caring and compassionate that the so called ‘house of God’. Lets remember, true Christianity is about love, NOT MONEY!